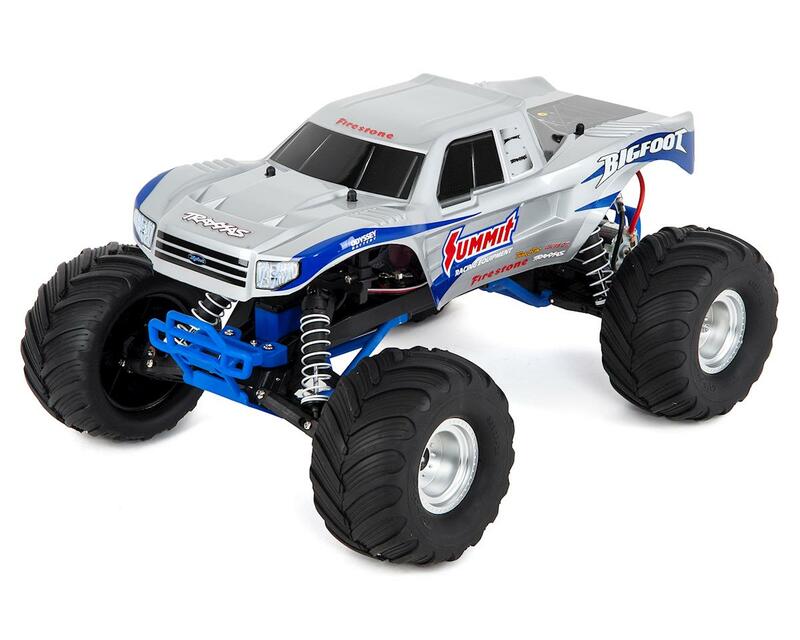 The Traxxas "Bigfoot" 1/10 RTR Monster Truck pays homage to the monster that created the excitement and passion for car-crushing monster trucks we know today. 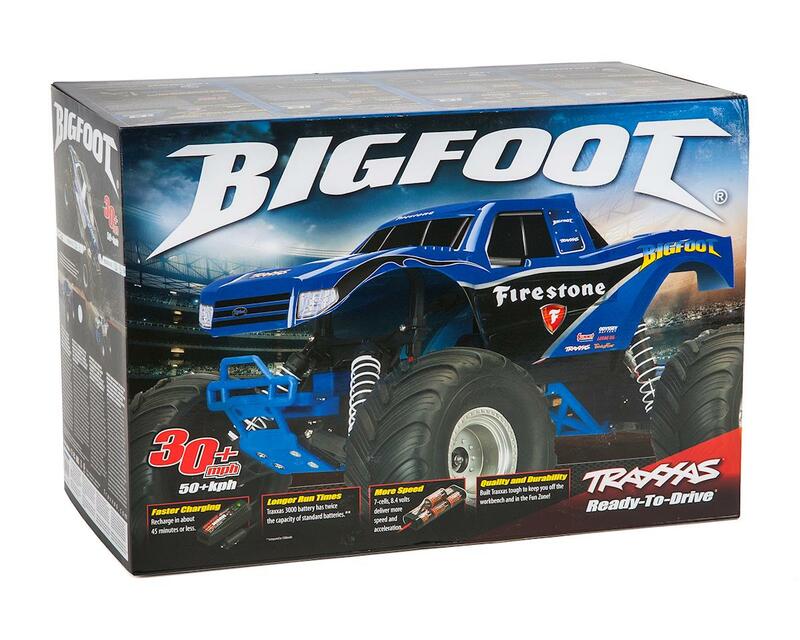 BIGFOOT is true monster truck royalty. 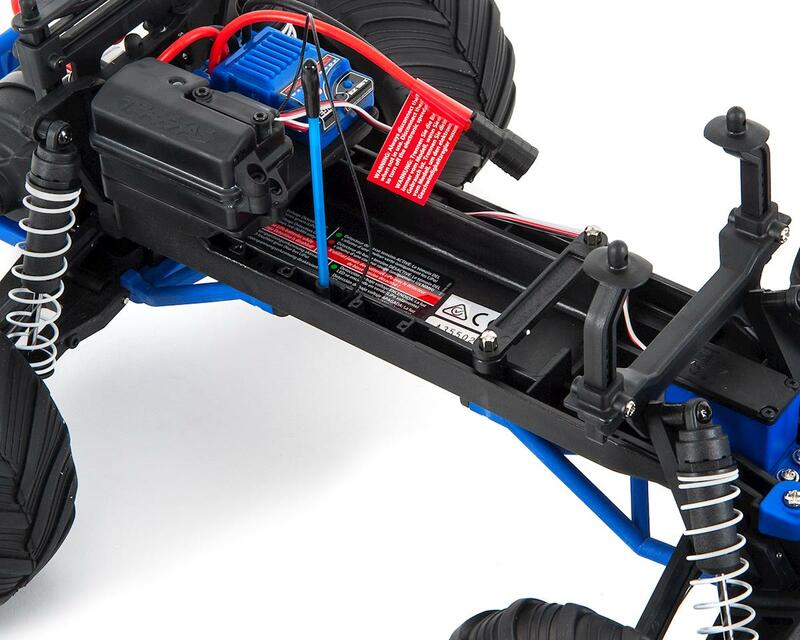 Traxxas has captured the power and spirit of BIGFOOT in this fully licensed replica that lets you rip massive wheelies and crush at will, anytime, anywhere! 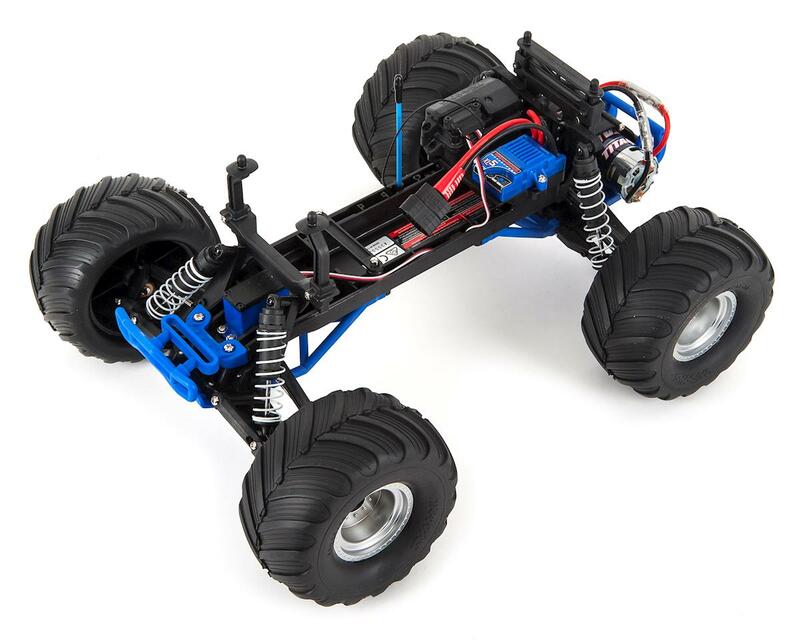 Built Traxxas Tough for all-day fun, BIGFOOT comes out of the box fully assembled, waterproof, and Ready-To-Race. I really like this truck! 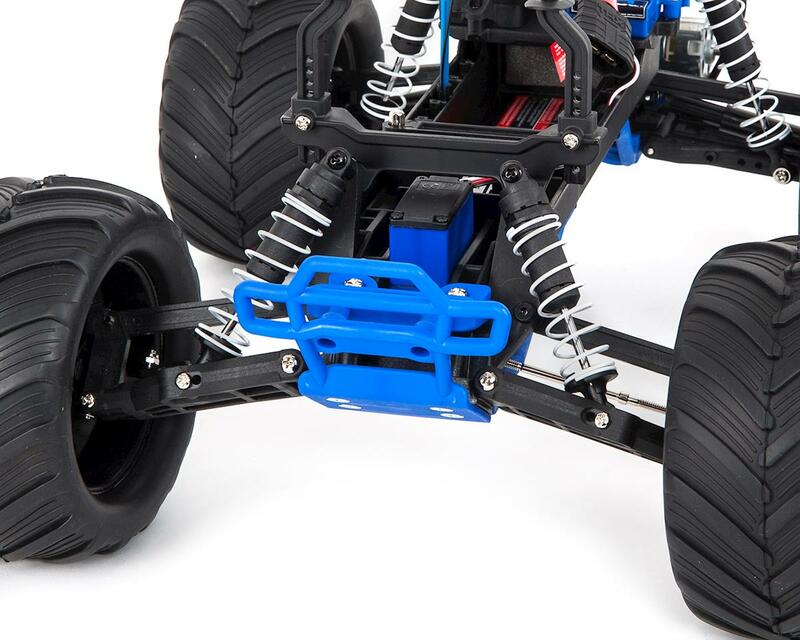 Its fun to drive i like being able to go off-road in the yard and everywhere. 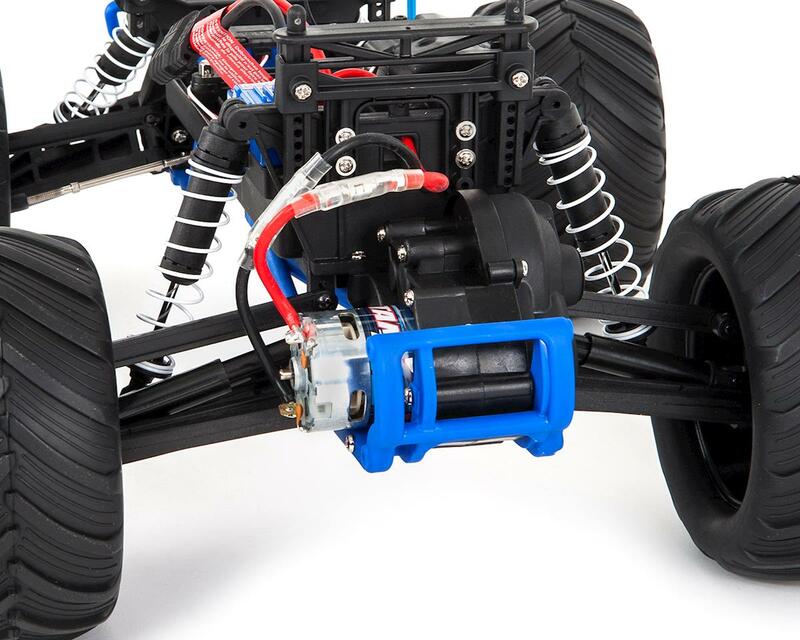 It has great speed stock. I am really impressed! 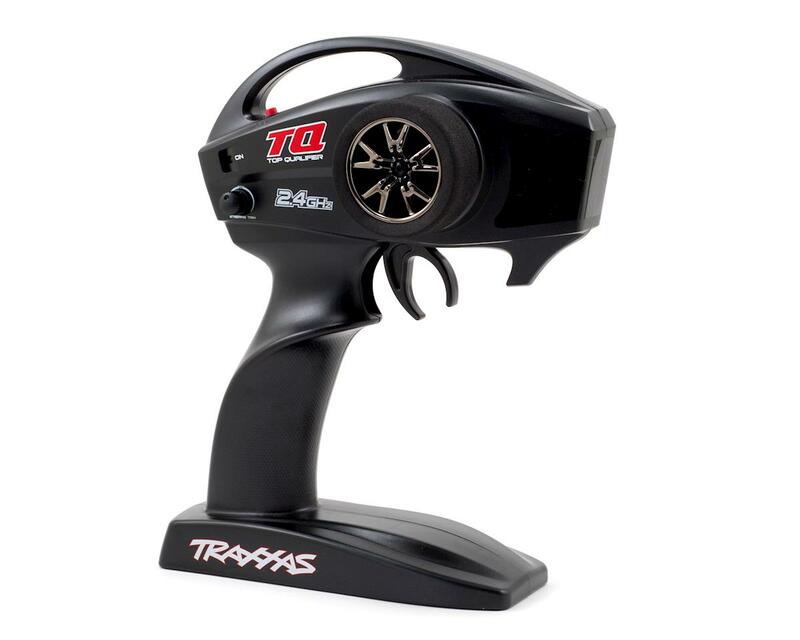 Thanks hobbytown and traxxas. I am pleased with my purchase! Thank you.